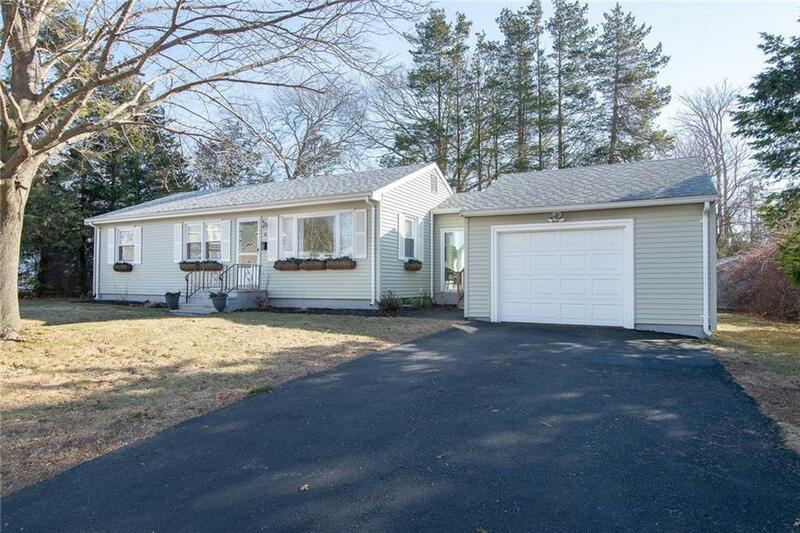 NEWLY REMODELED 3 BEDROOM RANCH WITH ATTACHED BREEZEWAY AND GARAGE. THIS HOME FEATURES BEAUTIFUL HARDWOOD FLOORS THROUGHOUT, OPEN KITCHEN WITH NEW APPLIANCES AND A NEW HEATING SYSTEM. IF YOU ARE SERIOUS ABOUT YOUR LANDSCAPE, THEN THIS HOME IS FOR YOU. IT PROVIDES WELL WATER TO OUTSIDE FAUCET WHICH IN TURN WILL SAVE YOU ON YOUR WATER BILL. IT IS LOCATED IN A DESIRABLE NEIGHBORHOOD AND PERFECT LOCATION, ALL WITHIN CLOSE PROXIMITY TO THE WATER AND THE EAST BAY BIKE PATH. JUST A SHORT DRIVE WILL TAKE YOU TO BRISTOL'S QUAINT DOWNTOWN, WITH SMALL RETAIL SHOPS AND RESTAURANTS TO ENJOY ALL YEAR ROUND.